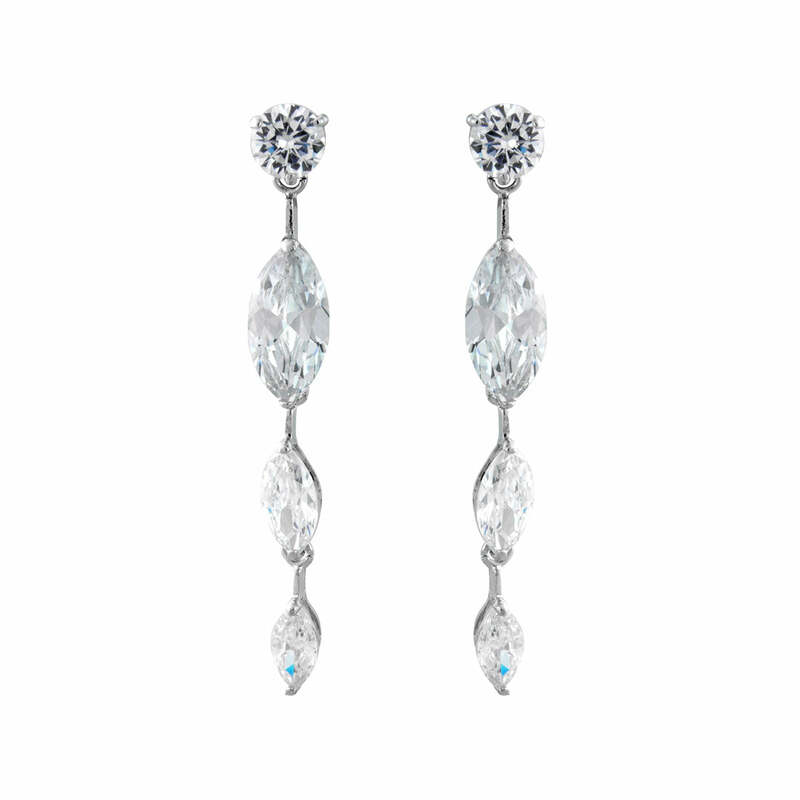 Elegant, glamorous and perfect if you adore 1940s precious crystal drop earrings. Effortlessly glamorous, you would be forgiven for mistaking our Elegance of Glamour Earrings for a pair of precious sparklers. Inspired by vintage earrings from 1940s Hollywood, these exquisite drops look like they should be adorning the lobes of a Silver Screen Starlet in an old black and white movie. Featuring a single crystal stud leading to three marquise cut Austrian crystals which graduate in size, these silver tone earrings are perfect for every occasion which calls for a touch of chic glamour. Beautiful bridal earrings for brides who adore 1940s vintage wedding jewellery, coordinate with a sparkling crystal headpiece and a bejewelled cuff for timeless Starlet style.